Lourdes World Day of Sick: Monday 11th February we celebrate the feast of Our Lady of Lourdes, World Day of the Sick. We will have our Lourdes Triduum Novena on Saturday 9th, Sunday 10th and Monday 11th. 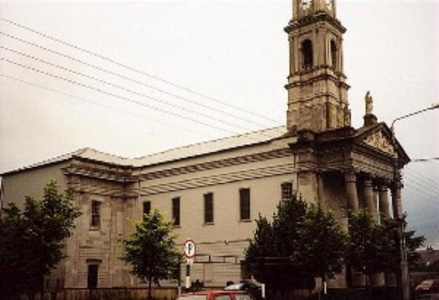 Novena Prayers will be said on Saturday, Sunday and Monday at our Masses. On Monday the 11th, World Day of Sick, we will have a ceremony of Anointing of the sick at 3.00pm. We invite all our sick, housebound Parishioners to this special ceremony. Neighbours may help by facilitating the transport of our sick and housebound to the Church for this ceremony. We welcome into the Christian Faith Community of St. Mary’s, Ned Edward Reilly, Condon’s Cross who was baptised last weekend. We congratulate his parents, Ned and Nora, godparents. Thomas and Ann, grandparents and extended family. Legion of Mary: The Legion of Mary meet on Wednesday evenings in St. Mary’s Pastoral Centre, Irishtown at 7.30pm. A special appeal is being made for new members who will receive a warm welcome. Candles: The Blessing of the Candles took place last Saturday. Anyone who would like to donate to the Church candles it would be much appreciated. There are still candles available in the Sacristy for those who would like them.